Make no mistake: United Methodist Women is much more than a sewing circle or social club, and no one knows that better than Aggie Reed. A longtime Methodist and UMW leader, Reed stepped to the helm of the Florida Conference UMW in January, after retiring from a nearly 30-year career as an accountant and financial officer with the U.S. District Court in Miami. For the last eight of those years, she was the court's financial manager. But she is not slowing down in her personal life. Her faith and a new position as the president of the Florida Conference's UMW keep her on the move, and Reed says she looks forward to new challenges. One of her goals as UMW president will be to encourage greater participation by young people in the church and in the service projects of the group as a whole, as well as its many chapters. Young women especially may have a perception of the UMW as a group that gets together to socialize and do knitting or quilting projects, Reed says. But Methodist women stay active in their communities in many ways, she says, and the organization is always open to new missions and service projects. "UMW trains and equips young women for leadership, showing them how to take care of themselves and their families," Reed says. "We are a real sisterhood." On her plate in the immediate future is Mission u, an annual educational experience organized by UMW. The event will be held July 10-13 at Florida Southern College in Lakeland. This year's theme is "Learn, Pray, Act, Transform." Fellowship activities and study groups for all ages are planned at the four-day educational event, along with opportunities for spiritual and intellectual growth. This year's topics include “The Roma of Europe,” which takes a look at the discrimination faced by gypsies or their descendants, and “The Church and People with Disabilities,” a look at how local church ministries can be more inclusive of worshipers with special needs. Some classes are taught in Creole, Spanish or Korean. "I hope it will be a learning experience for everyone," Reed says. It also is an opportunity to encourage greater involvement by youth who have been recruited to develop and distribute a brochure for Mission u. "We'll see if having them do it will attract more young people," Reed says. "You realize you have to have them or (your organization) will die." Her Christian faith is a call to discipleship and her daily inspiration. A recent illness only re-enforced her beliefs. "One of the things you know is that you are not alone," Reed says. "Whatever you are doing, God is there for you." Reed grew up in Daytona Beach, the third of her parents' six children. Her mother was deeply religious and made sure her children attended a local African Methodist Episcopal church. "With my mother, that was 100 percent," Reed recalls. She attended what was then Bethune-Cookman College, now a university, for two years and then transferred to Barry University in Miami, where she earned an accounting degree. She held various jobs with private companies before finding her niche with the federal government. "I was always looking for the job that I wanted to remain in," Reed says. Accounting suits her fine, whether as financial manager for the district court or in service to the church. "I think I like a job where if you say one plus one, it's two," she says. As an adult, Reed embraced The United Methodist Church even though her husband, James, is Baptist. "His mother and grandmother were Methodists," Reed says. "That's how we met." 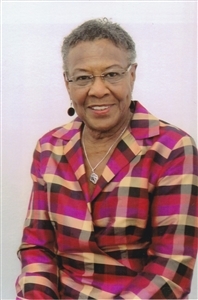 Reed has been a member of Ebenezer UMC, Miami, for more than 30 years. At church and in the Florida Conference, she has served in many positions. She is a past president of the Miami UMW and was treasurer of the conference's UMW for several years. Her friend Nelida Morales, immediate past UMW president and the first Hispanic to serve in that position, believes Reed's work with the church and in her professional life has been a learning ground for UMW leadership responsibilities. The women have known each other for nearly three decades. "She is, in my opinion, very committed to the Lord, a good church person and very responsible," Morales says. The number of meetings and the travel required of a UMW president can be overwhelming at times, Morales says, adding that it takes someone who can be flexible but also firm when necessary. She sees that someone in Reed. "She is a perfectionist," Morales says. "And she is a good planner."